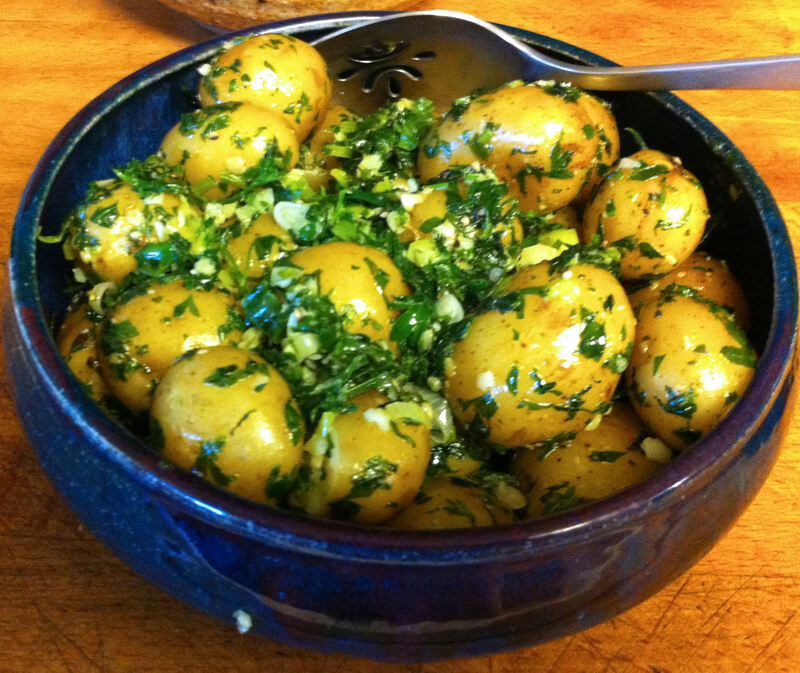 I make my parsley potatoes exactly like my mother, with the exception of almost everything. My mother would use White Rose potatoes that she would cut into small pieces. I use whole small baby Dutch potatoes. My mother would use one clove of garlic, one green onion and one tablespoon of parsley. I triple all of these ingredients. Other than that the recipes are exactly the same.